It was the last day of my daughter’s review class so I had a lot of time on my hands waiting for her. After lunch, I went to Starbucks for some coffee. I changed my mind when I saw their banoffee pie and decided to have that instead. Their banoffee pie is one of the best I’ve tasted. I like the crunch of the crust and the sweetness of the caramel inside. The bananas remain firm. The cream provides an excellent topping to this delicious dessert. Every bite of this was pure heaven! 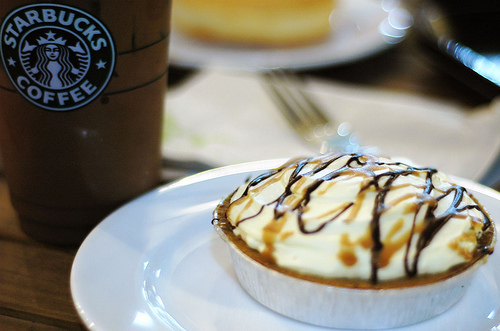 This entry was posted in Food, Grateful Project and tagged Grateful Project, Starbucks banoffee pie. Bookmark the permalink.